NICK’S Window Cleaning is the most trusted eavestrough cleaning company in Scarborough. We specialize in all sorts of eavestrough repair and restoration services. Our aim is to make sure that your eavestroughs are working properly and efficiently. We restore everything to its original condition. We have more than ten years of experience in this field. We have the best team of friendly and skilled professionals who are dedicated to serve you to the best of their capabilities. Our experts can resolve all your eavestrough related problems quickly and in very affordable rates. We are secured by full liability insurance and our every technician has WSIB coverage. Eavestrough fails mainly due to a fault in installation or any other factor which may put a strain on its joints. Corrosion or rusting of surfaces will also result in loosening of joints. Seam failure or loose joints is one of the most common problem faced by many people. Seam fails when the compound holding the joints fails or deteriorates. Seams can be easily repaired by mending joints of affected sections. Seam restoration is the most efficient way of dealing all leakage-related problems. Our experts from NICK’S Window Cleaning are extremely skilled in seam repair and restoration. Eavestrough require regular maintenance for proper functioning. Many people overlook minor problems in their eavestroughs unless they convert to major unavoidable situations. To save some cash, they end up creating more problems and spending more ultimately. We advise you to get your gutters checked at least twice a year. Our experts are extremely skilled in dealing with normal maintenance problems and routine inspection. Sagging is one of the most common problem, left untreated by many people. Sagging should be treated in its early stages otherwise it can lead to many severe problems like loosening of joints or seam failures. Regular cleaning can also avoid you many problems. Eavestroughs of large residential buildings or commercial centres bear a lot of weight as compared to ordinary eavestroughs. They face a lot of problems that is why they require more frequent inspection and rigorous cleaning. Debris accumulation occurs more frequently in such gutters and leads to clogging of outlets. 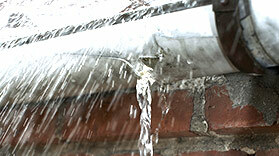 Water may accumulate in these clogged gutters, during raining, and create problems like sagging and leaking. Our experts have been repairing gutters of large facilities throughout Scarborough for a long time. Contact us and we will guide you about what types of services are needed for gutters of your commercial buildings. We will restore everything to its original condition. We have been providing our repairing services in Scarborough for more than ten years. We provide high quality work in affordable rates. We work efficiently and quickly. We have the best team of highly skilled and experienced professionals. Above all, we provide a top-notch customer service. We respect our customers and treat their properties carefully. We strive to earn the trust of our customers and try to build a long-lasting relationship with them. That is why we are the most reputed gutter repair services in Scarborough. We also provide a free cost-estimate of the work to be done. Eavestrough maintenance and repair is one of the complex task, which every homeowner must take care of. Many people do not pay much attention to the inspection and maintenance of their rain gutter systems. Without proper maintenance, many severe problems like moisture accumulation and flooding can occur. Many people ignore regular maintenance of their eavestrough systems or try to repair small problems by themselves to save few bucks. Acting by yourself will do more harm than good in most cases. If you want to save more money in the longer run then hire a professional who can do this risky work for you. Repairing eavestrough is a very dangerous process. You should never try to repair your gutters by yourself because you do not possess the tools and knowledge needed for this task. If you try to do this work by yourself then both you and your property are at risk. At NICK’S Window Cleaning, we offer all kinds of eavestrough repair and restoration services. We have a team of experienced professionals who excel in their work. 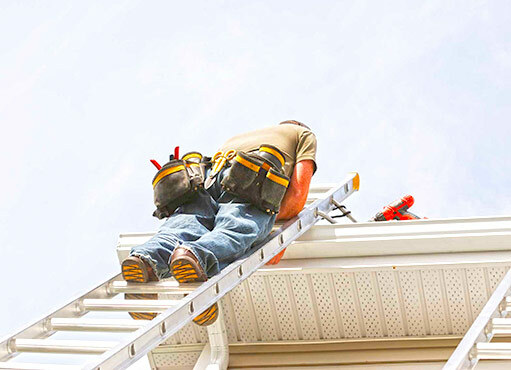 We offer various services ranging from locating failures to complete restoration of eavestrough. Whether it is a blocked outlet or a leaking problem, broken ferrule or spikes, we make everything alright. We have been providing our services to the residents of Scarborough for more than a decade. We have the right team, the right tools and everything needed for this work. We offer the best rates and the best service in town.